I LOVE baking Christmas Cookies! On December 1st, we put up our Christmas tree, hubs puts up all of the lights, inside and out, and I bake cookies. I bake a lot of cookies. I love sending them to my friends in California and to my grand kids in NJ and Villanova, for my friends in Maine, and for my kids when they get home from College. I have my favorites that I make every year and then I like to try a couple new ones every year. 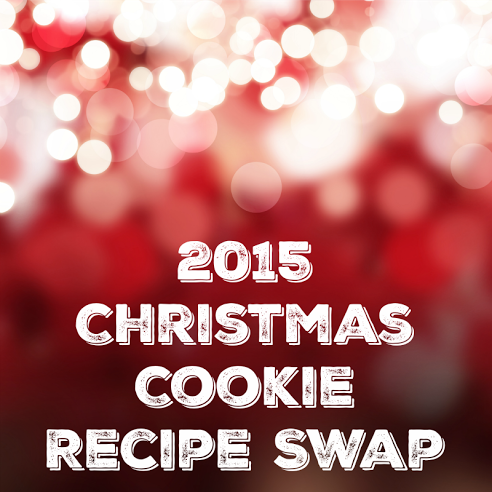 This year I joined a Christmas Cookie Recipe Swap. 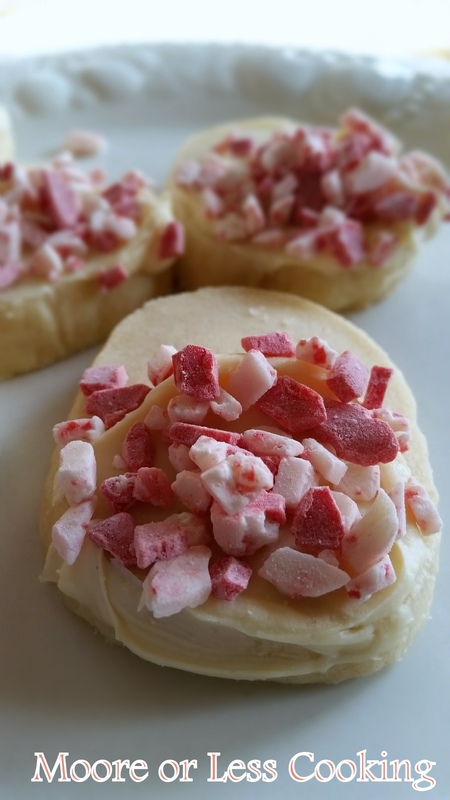 Christmas Cookie recipes are swapped with another blogger via email. 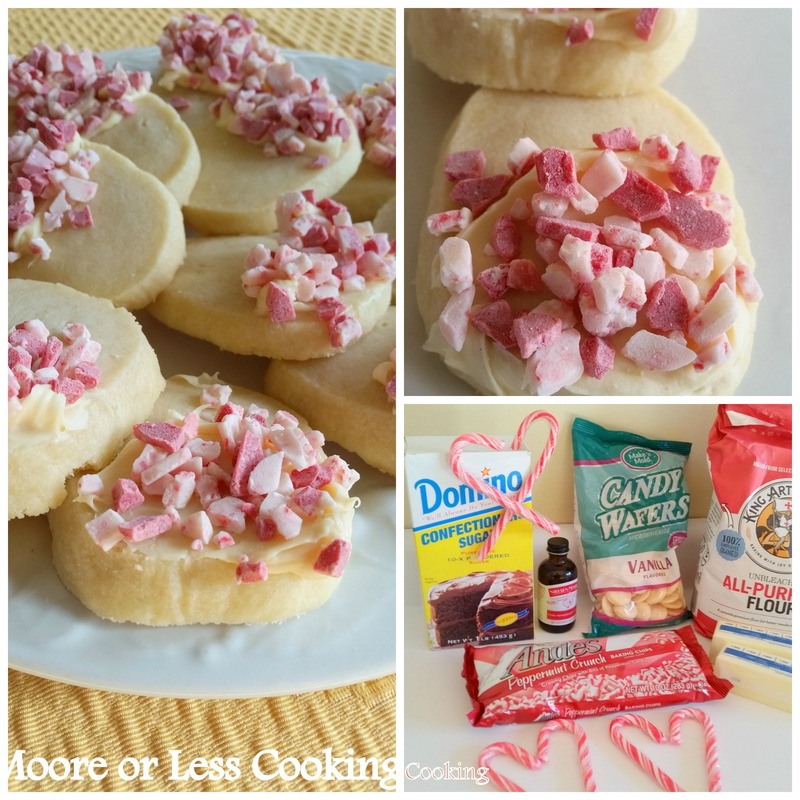 Christine, from A Sprinkle of This and That sent me her wonderful recipe for Peppermint Shortbread Cookies. I was so excited when I received Christine’s email. Her recipe sounded so delicious. 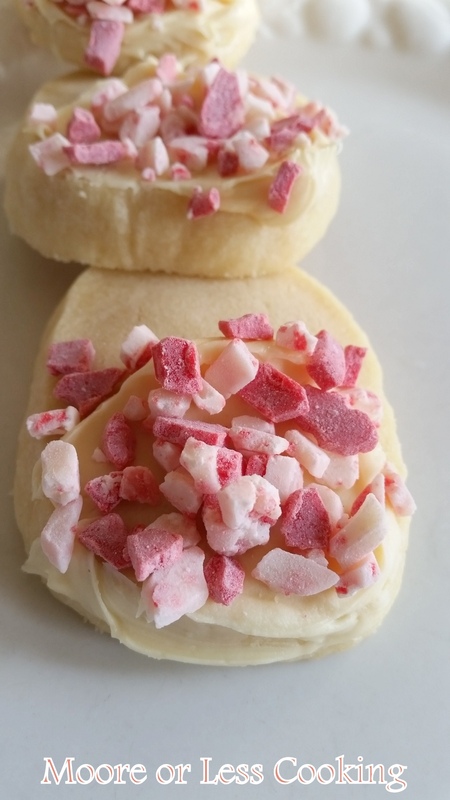 Peppermint and Shortbread? It just screams Christmas! I headed over to her blog immediately and just couldn’t stop reading her recipes. She is so fun and cheerful, I feel like I have known her for years! I rushed to the market and picked up all of the ingredients that I needed and started to bake! Hooray! My happy place! The aromas smelled like Christmas. 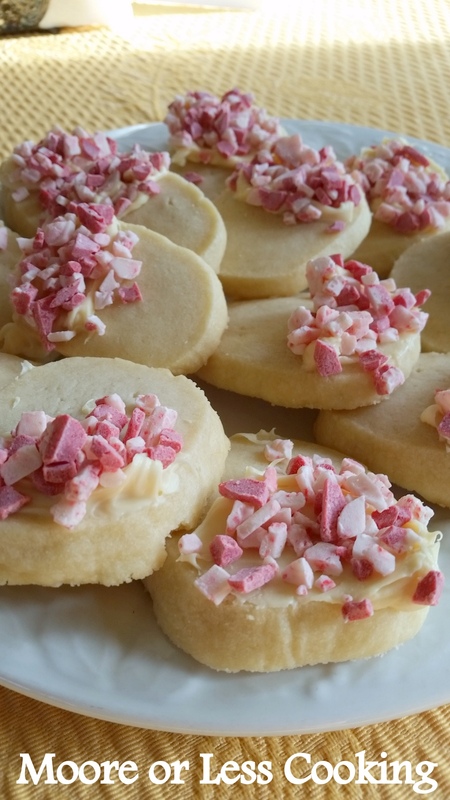 With Mariah Carey belting out, “All I want for Christmas, is you….”, I knew these cookies would be a hit. They are melt in your mouth amazing! Try to just eat one, I dare you! Blend together butter and powdered sugar. Add the flour, peppermint extract and mocha creamer. Once all the ingredients are incorporated, roll dough into a log. Slice cookie log into ½" slices. Place on an ungreased cookie sheet and bake for 10-12 minutes. Remove and let cool on a wire cookie rack. Once the cookies have cooled, melt white candy melts in the microwave (follow package directions). Dip each cookie halfway into the melted white candy. I used a knife to spread the melted white candy. Sprinkle with peppermint crunch sprinkles immediately. Allow white candy to harden. Check out our Cookie Hosts to see what cookies are being shared for the cookie swap! YUM! I absolutely am obsessed with peppermint this holiday season-now I just have to find the Peppermint Andes Sprinkles!